Everyone loves routine and fulfilled expectations. But sometimes surprises can be fun and bring spark to life. Enter Phil and Ted’s Smart stroller. Phil and Ted’s destroyed routine and expectations and created something completely different from their other strollers. Since 1994 Phil and Ted’s has owned the market of second seat tandem strollers that have jogging capabilities. But now they have created a stroller with 4 wheels, a tiny egg shaped frame, and a minimalistic foam seat. It’s kind of like if Hummer would come out with an electric car. Or if Hollister would start selling three piece suits. We’re talking about fully breaking out of what this company has been doing- and mind you successfully- for almost 20 years. With the Smart stroller, Phil and Ted’s designers stripped away any reference to their cornerstones and have fashioned a product that will attract an even wider fan base. 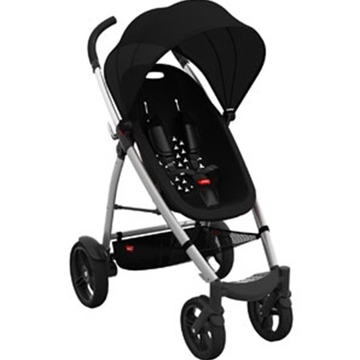 Smart maintains the full quality and adored flashiness of the previous Phil and Ted’s strollers but the concept is very different. 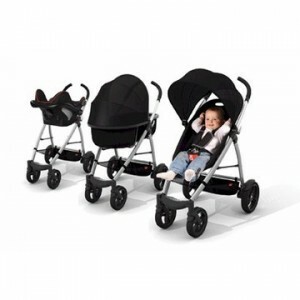 The Phil and Ted’s company started as a father and son team from New Zealand so until Smart, all their strollers were built to take on the rugged outback life down under. All of them were built with triangular metal frames, permanent forward facing seats, and weighed at least 25 lbs., (and that’s without the optional second seat)! At just 18 lbs., Smart feels extremely light but succeeds at fitting in many convenient features. Smart is made from lightweight aluminum and has a circular frame and seat that can face forwards, backwards, or come off completely for a compact and lightweight fold. What really separates Smart from the pack, and not just from it’s heritage, is the molded Aerocore seat, a first on the worldwide stroller market. Aerocore seats are a thin, foam like, shell shaped to properly support child development from 6 mos. through 3 years. There are also many great features that Aerocore™ material has such as being waterproof, hypoallergenic, UV resistant, and non-toxic. The expandable properties help to regulate ideal temperature for your child and because the seat is one piece and fabric free, you can literally hose this thing down until it’s sparkling! Everything about this stroller works for the common goal of being lightweight and simple to use. The canopy is a tiny piece of nylon that doesn’t invade the sleek look of the stroller but can move across the frame for complete sun protection and blocks 98.5% of UV damaging rays. 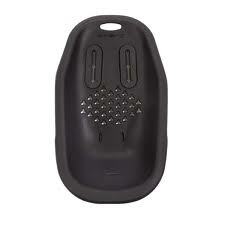 The wheels are small but are rubber and provide an ultra-smooth ride. A safe, 5 point harness, adjusts with just a twist and pull action; there is no need to ever rethread a thousand different pieces! For taller parents, the handles move up and down easily and the brake is just a one touch on/off pedal that is flip flop friendly. The fold is a simple one action slide-to-fold type and unlike most two piece strollers, Smart can actually fold with the seat on! The only possible downsides to Smart are that it only comes in black and the seat is a bit on the smaller side. However, I highly recommend it otherwise especially at the laughably low price of $249.99. Optional accessories include different colored seat inserts, the Peanut bassinet, Graco car seat, weather cover, and footmuff. Customers should not be disillusioned by the ‘Smart’ name, this stroller is definitely simple to use and perfect for hard working parents out there. In today’s super busy world, don’t we all just want fewer complications? Smart will do the work; you just have the fun!